We are a family of 4 (2 working adults+ 2 kids (9 and 11) and we are looking for an honest and kind female live-in helper to take care of our kids and home when we are at work. We want someone who will be kind and loving to our kids and stay as a part of our family. We live in Kowloon. We are looking for a finished contract helper, who will be able to start as soon as possible. 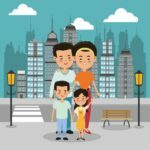 We are an easy going Indian family of 4, and have spent majority of our life as expats outside India (mostly US). All of us (kids and adults) leave by 8:00am. The kids have full time school and arrive only by 3:30pm. Kids are 11 and 9 years old and do not need constant care or attention, but we want some one who will treat them as priority and take care of them when we are at work. We want an honest, trust-worthy person who will live as a family member.We have NO pets. We believe in mutual respect and trust. Day off: Saturday or Sunday depending on your preference. Holidays: All the stipulated holidays as set by the HK government. House-work generally ends at 9:00pm. If interested, please contact with your CV ( that has name, contact information, references that we can contact, work experience etc.) at [email protected] Alternatively, you can leave a message with your phone number and I will whatsapp you. Thank you for your time and effort.God bless you. We are here to help you. Check out our FAQs or send an email to our support team. Employers looking for Domestic Helpers. No charge for helpers and almost free for employers! We connect Employers, Maid Agencies and Domestic Helpers in Hong Kong, Singapore, Macau, UAE and Saudi Arabia. Are you a Domestic Helper Agency?